Naomi Barnes, in her recent article in the digital journal, Hybrid Pedagogy, writes that “we need to start paying more attention to the random thoughts because when learning is conceptualised as a web, rather than a line, randomness becomes more meaningful.” She refers to the unanticipated blogging conversation, sparked by Steve Wheeler’s #blimage (blog+ image) challenge, that she, Helen Kara and I became involved in as we voluntarily responded to each other, layering our ideas and connecting our words. My own experience of learning is non-linear and rhizomatic. The findings of my PhD were that this is an experience shared by individuals, groups and organisations; learning happens in surprising ways, in unexpected places. I agree with Naomi that embracing non-linear randomness might lead us to interesting places of knowledge collaboration, reimagining and production (although I do think we should acknowledge our sources of inspiration). I mentioned in my blog post (part of the above-mentioned blogversation) on the spider-web connectivity of networked learning that metaphors, including of the spider’s web, emerged from my participants as ways to explain and explore their understanding of their professional selves, roles and relationships. As it edges towards summer here in Australia, at home I recently found a redback spider (latrodectus hasseltii for the arachnid nerds), an Australian relative of the American black widow spider. 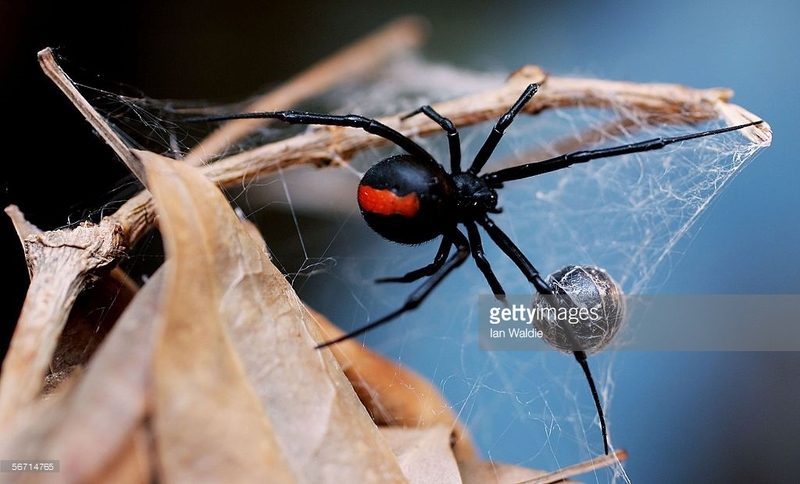 The redback female is venomous, formidable and self-sufficient. Her web is messy. Males live on the periphery, eating her scraps. And after mating, she eats them, storing the sperm for later. I’ve felt a little recently like a web-weaving spider. My PhD thesis is submitted, and suddenly, papers, journal articles and conference presentations are materialising. My PhD work has formed a web which widens and thickens, and in which these prey are being caught. The learning I’ve been doing from the network of scholars with whom I connect on Twitter and in the blogosphere has continued to take me to new thinking and into interesting conversations. Now, I don’t see myself as a poisonous, man-eating widow spider, but I like that the redback is autonomous, a beacon of feminine power. I like that her web is messy and functional, not pretty and symmetrical. As well as the weaving of the physical web, the species itself has spread its tendrils out from Australia to reach New Zealand, Japan and Belgium. She has even made it into two DC comics as a supervillain who fights Robin. Unexpected places. Unpredictable influence. The other insect creature I’ve recently been reflecting upon is the chrysalised caterpillar-butterfly. 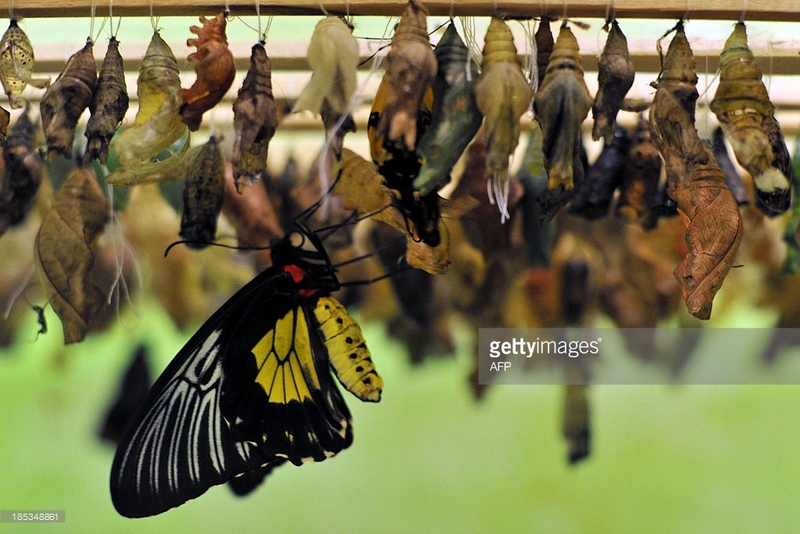 After I submitted my thesis, I wrote the following title in a Word document and saved it: “Emerging from the chrysalis: PhD as transformative learning.” It was a blog idea for later, after proper completion, maybe. I was remembering a post I had read which argued that the PhD is not a transformative experience, but a thing to be done, a process to be completed, a means to an end. This wasn’t my experience so I thought it might be worth writing about. And then I set the November #HDRblog15 challenge, and Kathryn Davies wrote this post about the life of a butterfly as a metaphor for the cycle of the PhD. Kathryn explores the chrysalis-PhD metaphor so thoroughly and thoughtfully, my own post idea seemed redundant. Yet my experience was affirmed by reading Kathryn’s. For me the PhD was transformative. I began my doctorate as someone who hadn’t written an academic paper or dissertation for 14 years. I was a vulnerable, soft-bellied slow-moving academic creature, my newness shiny and green. Over the course of the PhD, it has changed the way I think, the way I write and the way I read. It has changed how I perceive my identity, how I behave and how I respond. Some of these feelings I’ve written about, including a crisis of scholarly confidence, taking flight in the discussion chapter, and on being (or identifying as) a writer. And while I’ve recently said that I feel frozen in examination limbo, perhaps it’s more appropriate to say that I’m quietly growing, wriggling inside and pushing at the edges of my PhChrysalis, still a neophyte but transformed by my PhD journey. So, I offer out to the blogoverse another post, another moment of my thinking suspended in time, another layer, another thread, another voice, another tendril reaching out to others. To be ignored, observed or grasped. This entry was posted in Identity, PhD, Social Media, Writing and tagged blogging, identity, PhD, rhizome, social media by Dr Deborah M. Netolicky. Bookmark the permalink. Thanks for the mention Deb – but I’d still love to read your version…! Wonderful post – love the idea of embracing non-linear randomness! (particularly given much of the PhD process is conceptualised, at least from a meta-level, as linear and sequential). Thanks Deb – and thanks for the shout out about my blog post today.